When meteorologists and weather bugs measure the wind, they use an anemometer. An anemometer is a device that can very accurately gauge how quickly the wind is moving. Anemometers come in various shapes and sizes, but in most cases they are comprised of 3 or 4 small cups attached sideways to a carousel that spins with the wind. The cups catch the wind as it passes by, and sensors in the anemometer detect the wind speed based on how many revolutions or how quickly the cups make. 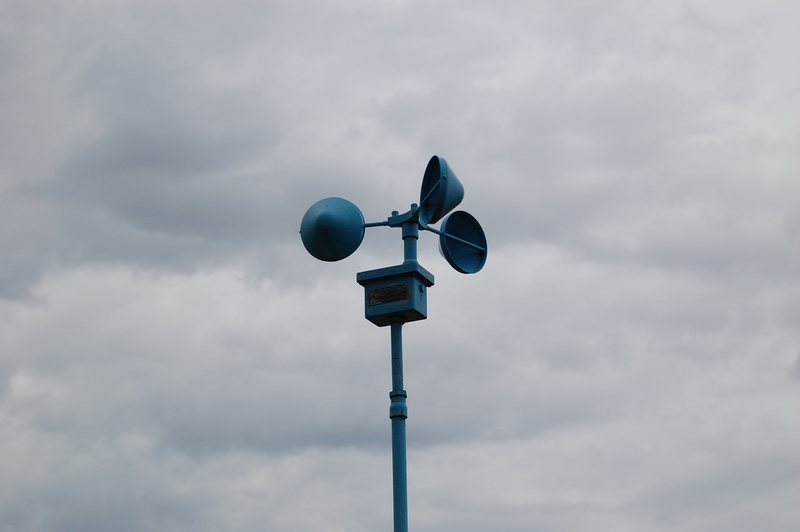 Some anemometers are observed for revolutions per minute, which can be used for determining wind speed. Learn more about using anemometers and how you can even make your own! 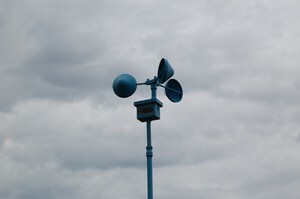 While anemometer is the correct term, these wind devices are also commonly called wind gauges or wind sensors. In each case, the task is basically the same — to measure the wind. And, by the way, a wind vane or a weathervane is something entire different than an anemometer. Wind vanes and weathervanes measure the direction from which the wind is coming — not the speed of the wind. Anemometers are pretty basic weather instruments. In fact, making an anemometer is a fun project you can do on your own! Check out this simple, 7-step do-it-yourself anemometer project you can do with common household items! If making an anemometer is not your cup of tea, then you’ll find plenty of anemometers you can buy pre-assembled and ready to go! Several good anemometer models exist. Most on the consumer market are included as part of a weather station (which also measures temperature, rainfall, and humidity). If you like measuring wind, you’re probably also interested in knowing the different wind speed categories meteorologists use to articulate how severe (or mild) wind speeds are. Hurricane Force: 73 MPH or greater; Windows break and mobile homes and other small structures are damaged or destroyed.